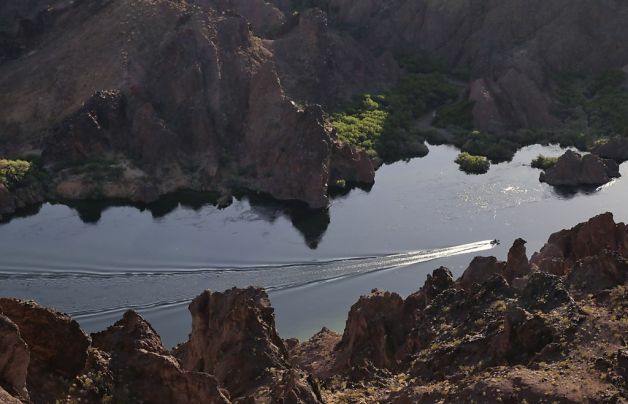 On March 23, one percent of the flow of the Colorado River will be released into Mexico, to flow into the river delta and the Gulf of California as part of an experiment in environmental restoration over several months. The agreement, known as Minute 319, was signed between the U.S. and Mexico in late 2012 at the urging of groups like the Environmental Defense Fund. The transfer will occur despite intense drought in the southwestern U.S. It was possible, therefore, to delay the pilot project for at least two years, giving the region a chance to recover from drought. No such delay was made. It has been more than half a century since the Colorado River flowed regularly to the delta. The Environmental Defense Fund has pushed back against criticism of the project’s timing. “Some may grumble that this is not the time to send water to the environment, but that objection ignores the broader context of the recent binational agreement and the many benefits it brings to both countries,” wrote Jennifer Pitt, director of the Fund’s Colorado River project. Engineers will open the floodgates of the Morelos Dam, which straddles the border, and will do so again several times throughout the spring months to mimic the natural floods of the region, the Associated Press reports. The hope is not only to restore species habitat and the region’s natural water flow, but also to provide water that once sustained broader agriculture in the region, and build cooperation for future joint water management.